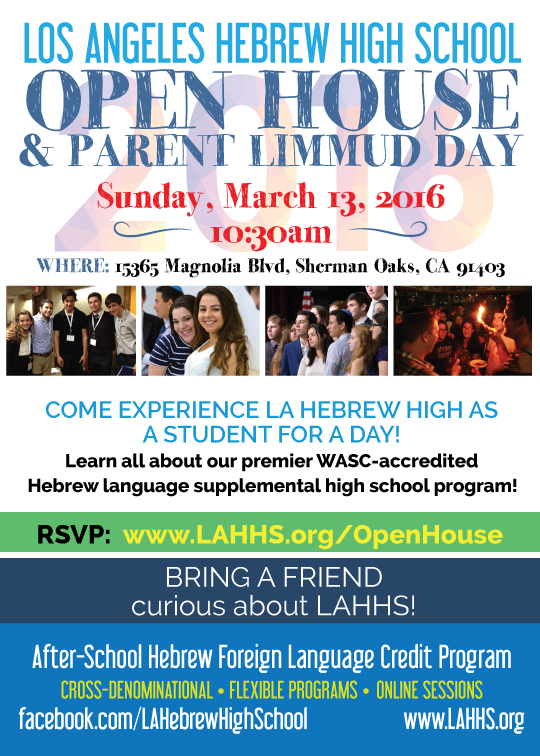 COME EXPERIENCE LA HEBREW HIGH AS A STUDENT FOR A DAY! JOIN US to learn all about our premier WASC-accredited Hebrew language supplemental high school program! Sunday, March 13, 2016 @ 10:30 a.m. Earn High School Foreign Language Credit at 1 of 5 locations with LA Hebrew High School! Build lifelong friendships = recent Alumni Reunion w/200+ peeps to prove!